Click the download button to start the CLI installation on your Win64 machine. You will get a warning that this installer is not signed with a digital signature. This is expected. If you prefer, you may follow the manual install instructions instead. 3. Create a new folder C:\AirshipLauncher. 4. Move airship.exe and airship-server.exe into the C:\AirshipLauncher\ folder. 5. Open up Environment Variable System Settings. Start typing "edit the system environment variables". When the window pops up, click on the Environment Variables button. 6. 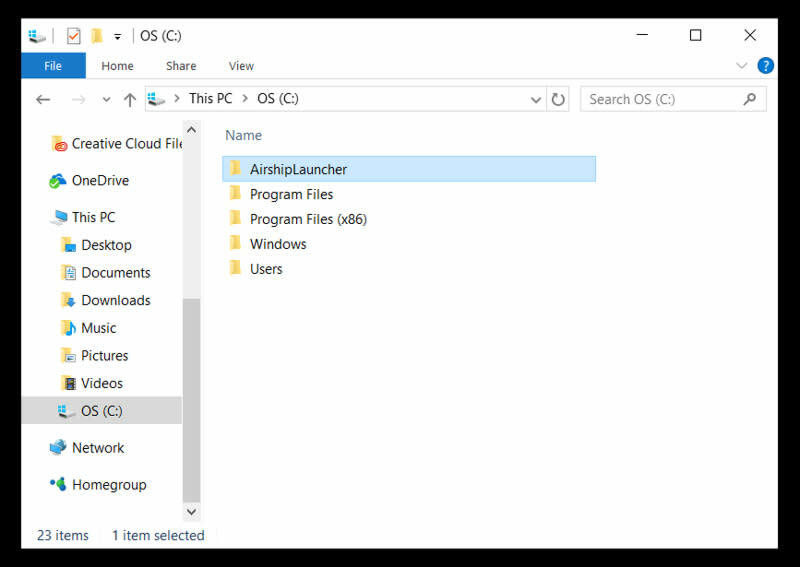 Edit the Airship Launcher Environment Variable. Click the line that starts with Path to highlight it, then click the Edit... button. 7. Open a CLI (either CMD.exe or PowerShell.exe) to test. 8. In the CLI, run airship version and airship help.